You may wish to read an introductory page on the town first. 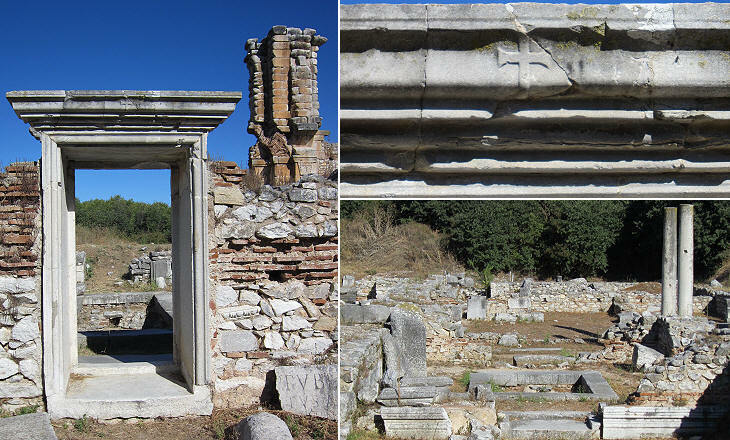 Philippi remained a prosperous town after its direct links with Rome lost importance; pilgrims visited it to see the supposed cell where for one night St. Paul was imprisoned during one of his missionary journeys through the Jewish communities of Macedonia. In the Vth century a large three-aisled basilica was built near the site of the cell, which archaeologists believe was in fact a cistern. 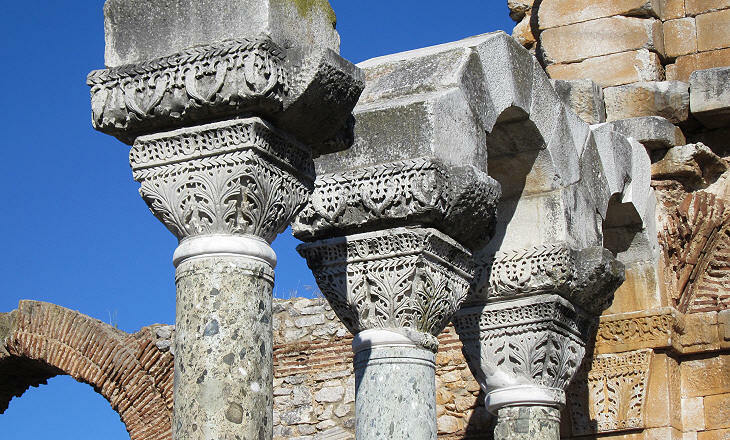 The decoration of this basilica was based on Christian symbols, but it was still consistent with traditional Hellenistic architecture in the use of capitals and reliefs. 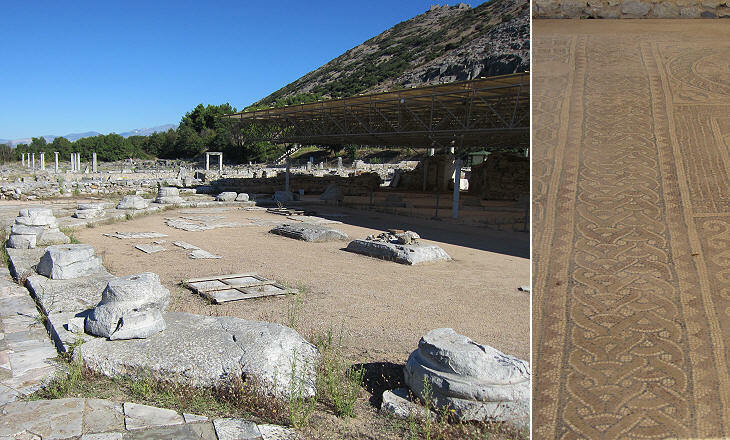 In the VIth century the inhabitants of Philippi embarked on the construction of an imposing basilica on the site of the town's palaestra; the size of the planned building clearly exceeded the needs of the town, thus indicating that Philippi attracted many pilgrims. 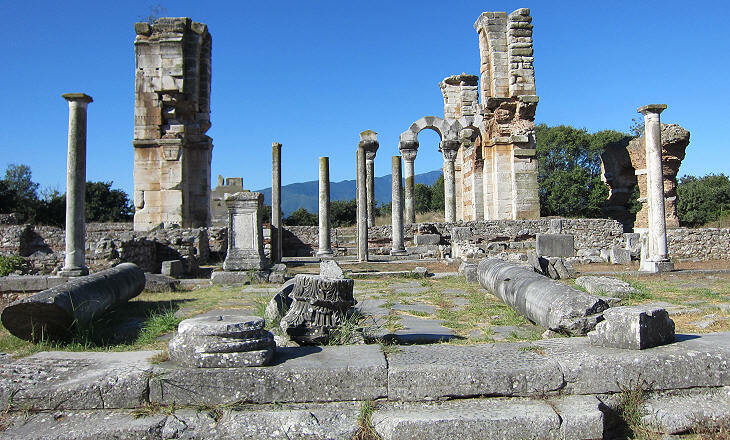 There is uncertainty among archaeologists whether the gigantic pillars of the basilica ever supported a dome; in 547 the so-called Justinian plague devastated the countries of the Mediterranean basin and in the early VIIth century an earthquake struck the region of Philippi; these two catastrophic events could have halted the completion of the basilica. 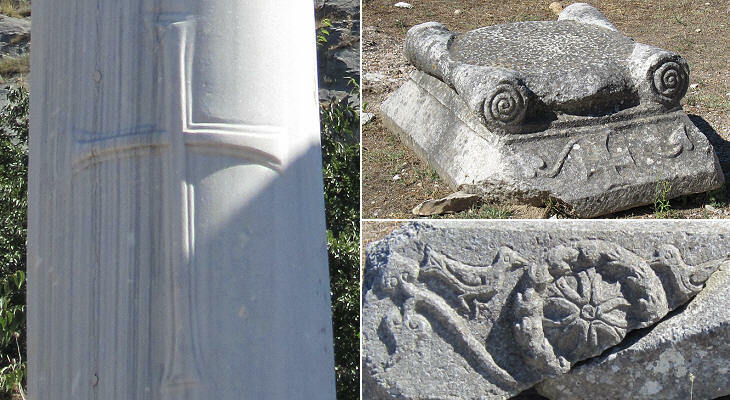 The decoration of the basilica moved away from classic patterns; all representations of human beings and animals were banished and even the acanthus leaves of Corinthian capitals were depicted in an almost symbolic way; this type of "combed" capitals can be observed also at many Byzantine locations in Syria of the same period. The basilica was at the centre of a complex of buildings which included a chapel reserved to the bishop and a baptistery; the whole complex was built with materials taken from ancient monuments, but the stones were completely reworked in order to eliminate all references to gods, human beings and animals. In recent years a third large basilica was identified to the east of the Forum, in what seems to have been a residential quarter; it has an unusual octagonal shape, which could indicate that it was built on the site of a mausoleum; it was decorated with an elaborate mosaic. Current archaeological excavations may lead to more complete understanding of the purpose of this complex which, in addition to the octagonal church, included several other buildings. 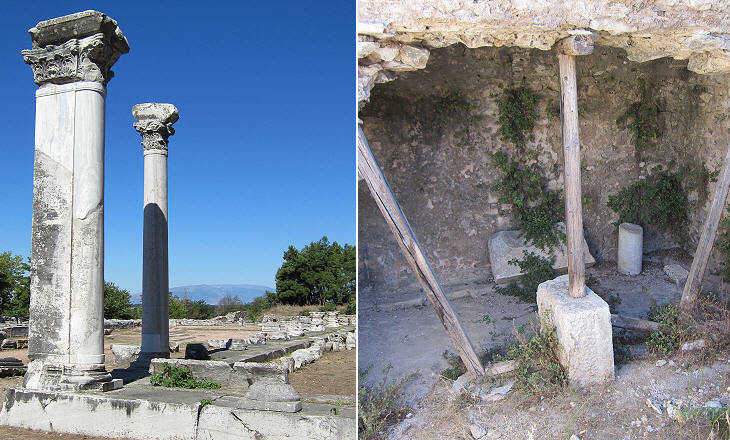 Philippi declined after the VIIth century earthquake, but records of its existence indicate that the town was populated until the XIVth century, at least in the form of a village. 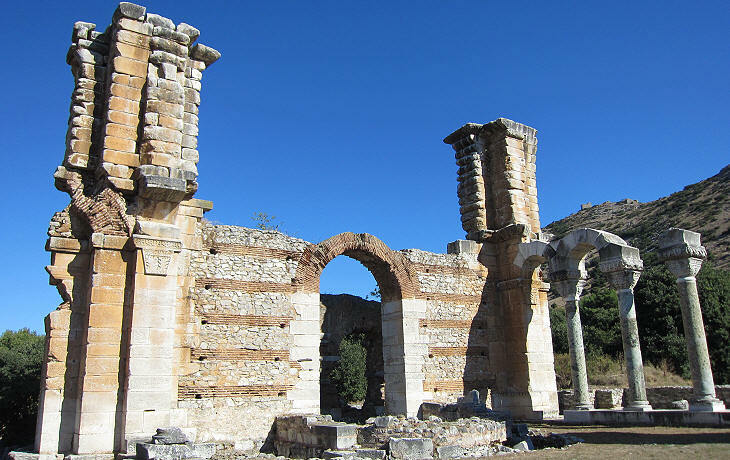 The ruins were described by French archaeologists in the XIXth century, but excavations started only in 1914, when Macedonia became part of the Kingdom of Greece.